EstateGuru supported least privileged families before holidays with Avinurme mortgage loan: the sums collected during the campaign were used for supporting children raised by grandparents. 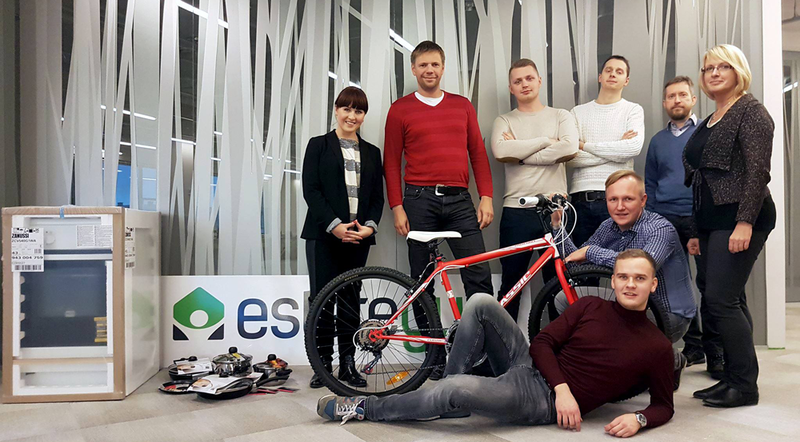 „This is a charity campaign of EstateGuru: 0.5% of the total loan sum was spent on charity,“ said Triin Jõeleht, investor relationships manager of the company. For the sums collected with Avinurme mortgage loan a stove was purchased for a family with girls at the age of 10 and 12, who are raised by grandmother and grandfather with disability. Also a bicycle was donated to a 13 year old boy: this busy young man needs it for working in the countryside in summer. Furthermore, resources were allocated for three families for purchasing clothes. The project „Support to Orphans” is led by the Self-Help and Advisory Association for Senior Citizens founded in 1995, which is joining approximately 500 voluntary members mainly in pension age. The campaign has important role in the life of children lacking maternal and paternal care, as well as the grandparents raising such children: after all, retired grandparents have less possibilities for developing the world of hobbies and interests of the children in their custody, while children need new experiences, impressions and contacts, and are often lacking elementary items. The project „Support to Orphans” has also helped to organise tours and visits to cinema, theatre and museum for the children, as well as common celebration of various holidays.